Donald (Don) Burton Van Wieringen - Age 90, of Seattle, WA passed away peacefully on June 14, 2017. Don was born to John and Cora Van Wieringen on February 23, 1927 in Oak Harbor, WA. The family moved to Mount Vernon, WA where he graduated from Mount Vernon High School. In April 1945 Don was drafted into the United States Army and served his two years of active duty assigned to a post in South Korea. After being discharged from the military he attended the University of Washington. While a student, Don married the love of his life, Leota Rae Knight on September 20, 1952. He obtained a Bachelor of Architecture degree in December 1955 utilizing the GI Bill. 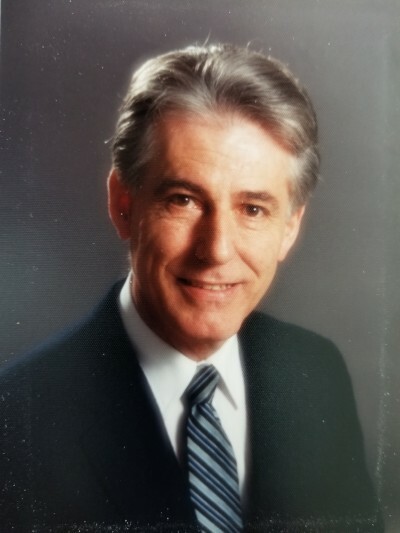 Don worked for the same architectural firm for his entire career beginning in 1955, the firm originally was known as John W. Maloney, however, during his career, the firm had various incarnations including: Maloney, Herrington, Freesz & Lund and finally Mills, John & Rigdon. After a total of 37 years he retired in July of 1992. Some notable buildings throughout the State of Washington that Don had a hand in designing include: St. Thomas Seminary (now Bastyr University) (Kenmore), Saint Anne’s Parish Church (Seattle), Forest Ridge Girl’s School (Bellevue), Blue Cross Office Building (Shoreline), St. Joseph Carmelite Monastery (Shoreline), and various buildings on the campus of Washington State University including the Wilson Compton Union Building (CUB) and the Veterinary Science Building (Pullman). As a youth Don achieved the rank of First Class in the Boy Scouts of America. Later, when his two sons joined Scouting, he recognized the importance of sharing his wisdom and served in numerous adult leadership capacities within Cub Scouts, Boy Scouts and the Order of the Arrow. As a result of his mentoring, numerous young men became leaders in a variety of positions, some of which have impacted the world in a positive manner. Don lent his artistic abilities to the design of several posters, belt buckles and patches some of which are still worn on every Scout uniform in the Chief Seattle Council to this day. Don earned the following awards: Scouter’s Key, Wood Badge Beads, District Award of Merit, Vigil Honor and the Silver Beaver. Don and Leota attended Wedgwood Presbyterian Church for over fifty years, and Don served as an Elder, usher, greeter and other volunteer roles. 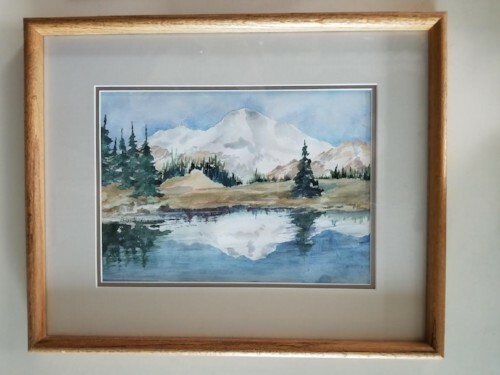 After he retired, Don resumed his love of watercolor painting, and he enjoyed getting together with other church members on a regular basis to paint and for fellowship. Don was a lover of all forms of the arts and would attend concerts, plays and museums. Don and Leota enjoyed his retirement years by traveling to Europe and other exotic locations, he enjoyed seeing various Cathedrals and the old classic buildings that he had studied as a young architectural student. Don is survived by his wife of 64 years, Leota, Seattle; son Orlin (Robin), Issaquah; son Barry, Kenmore; and granddaughter Jade, Issaquah. He is also survived by his sister in-law Vivian Van Wieringen, Henderson, NV; two nephews; and numerous other extended family. His parents and his brother, (Ray) John Raymond Van Wieringen preceded him in death. A Celebration of Don’s life will be held on Monday, July 10, 2017 at 1:00 pm at Wedgwood Presbyterian Church, 8008 35th Ave NE, Seattle, WA. If you wish to give something in his memory, we suggest a donation to your favorite charity. We are so very sad to learn of Don's passing, He was one of the most intelligent, capable and talented Architects to ever work for Mills, John & Rigdon Architects and it's predecessor organizations. It was a privilege to know and work with him for many years. Our sincere condolences to all of you. Don...always a pleasant greeting with a wonderful smile...our neighborhood has lost a good friend.